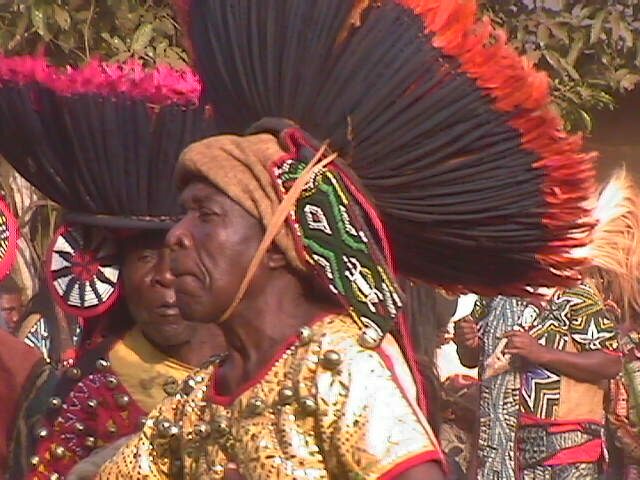 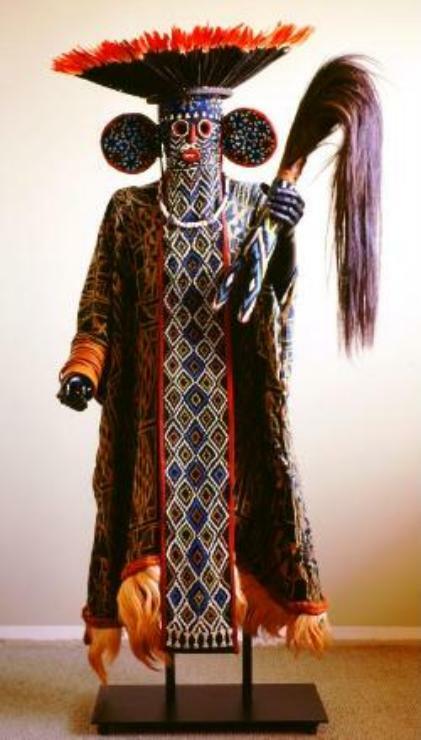 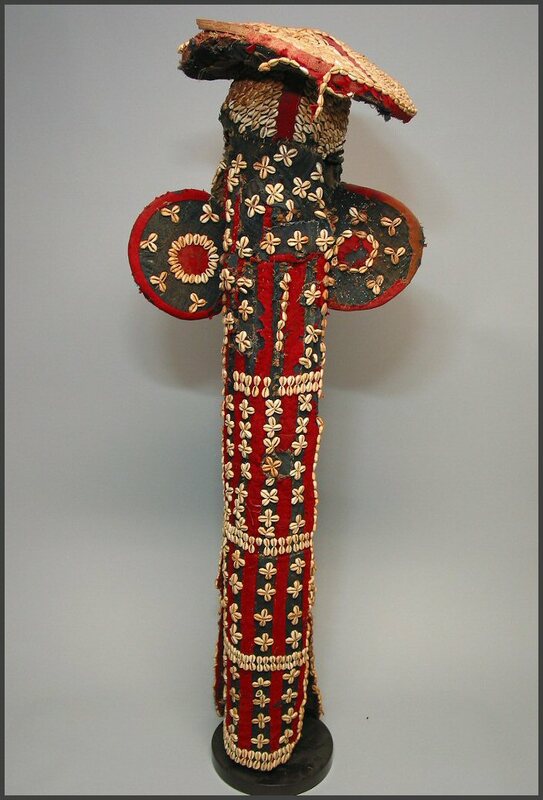 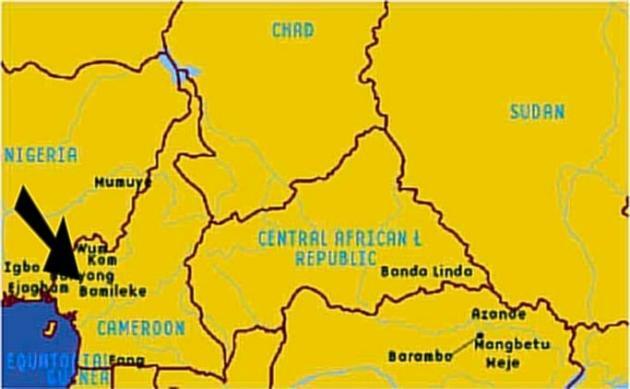 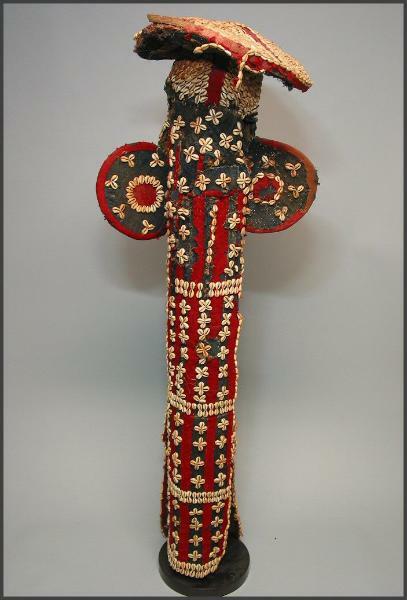 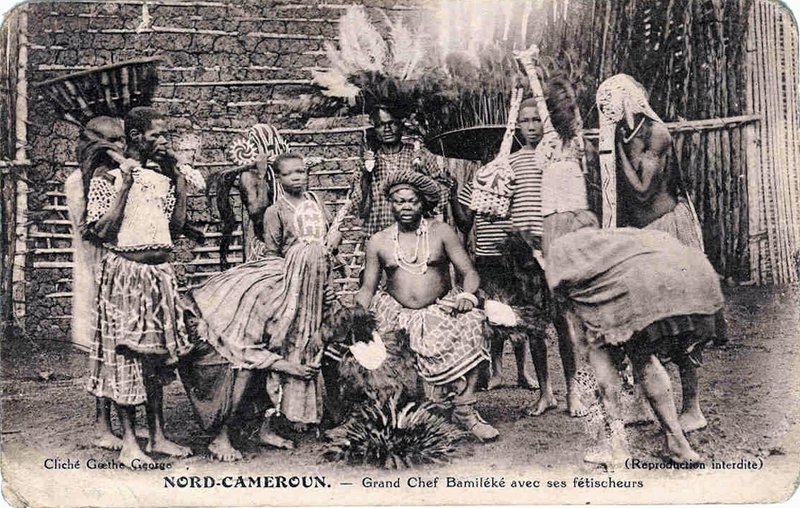 Bandjoun kingdom of western Cameroon. 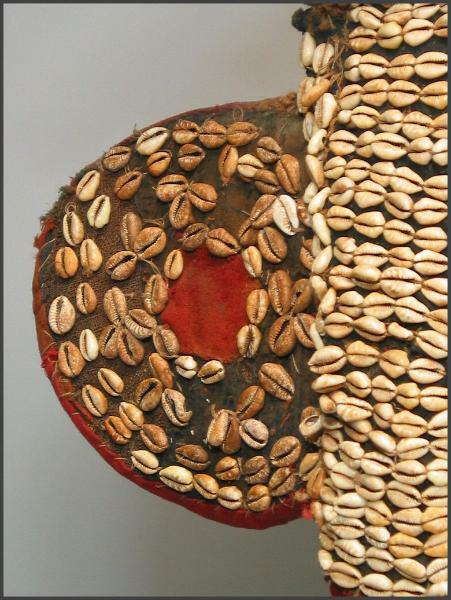 (Brain and Pollock 1971:100; Northern 1975:17-21). 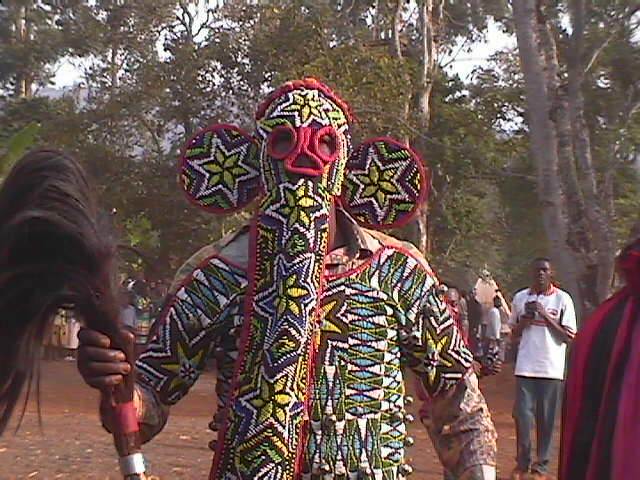 elephant, the face is human. 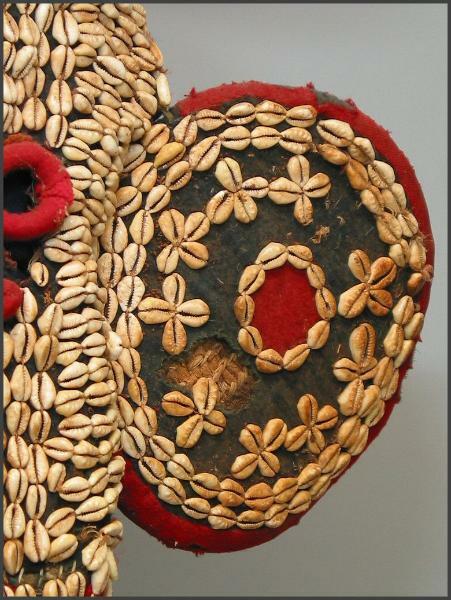 Eyeholes provide visibility, and a nose and mouth with teeth are normally present. 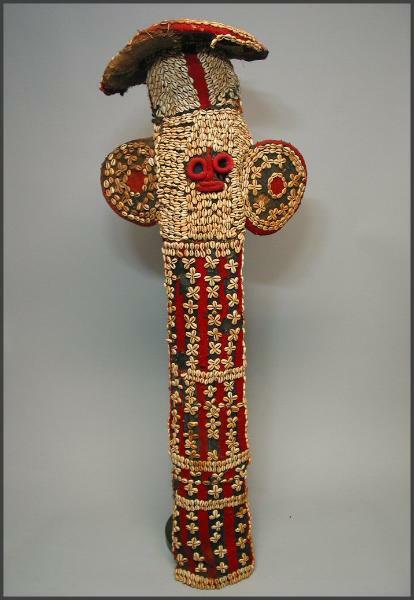 rewarded with kola nuts and wine (Brain and Pollock 1971:100-104; Northern 1975:17). 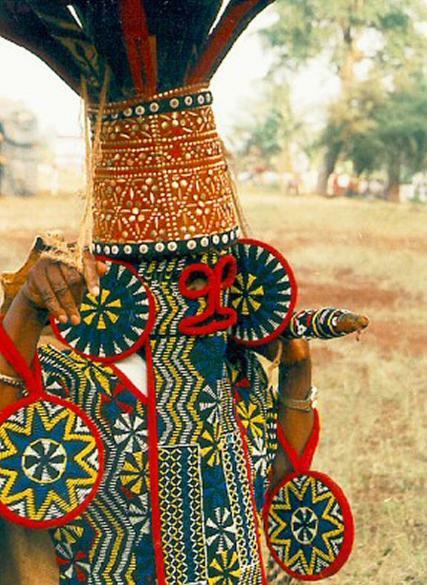 complexity (1975:116).33 Masks may be sparsely or densely beaded. 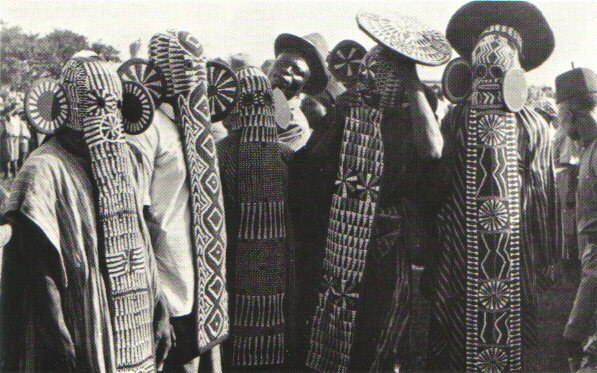 the some examples of these masks. 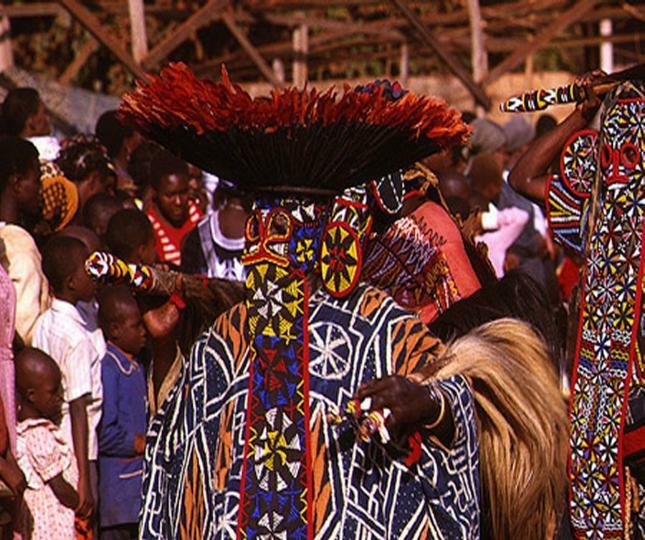 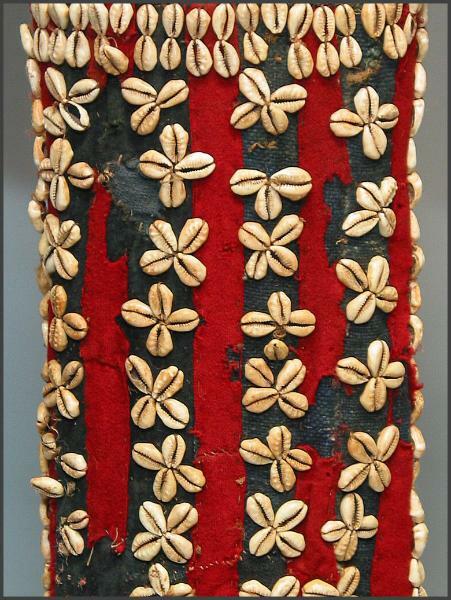 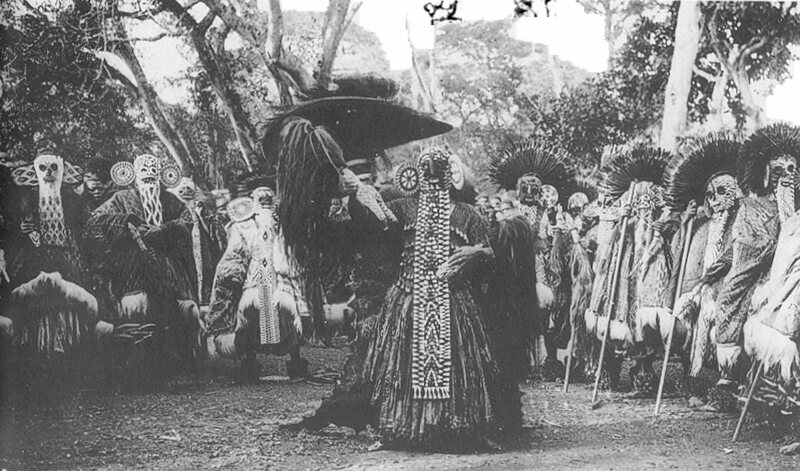 celebrations of kingship to display the Bandjoun kingdom's power and wealth. 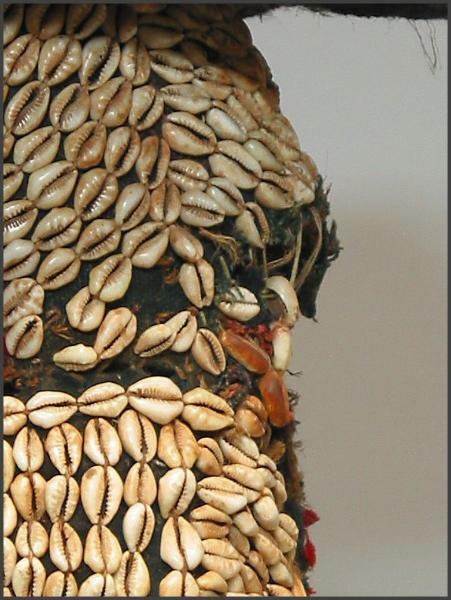 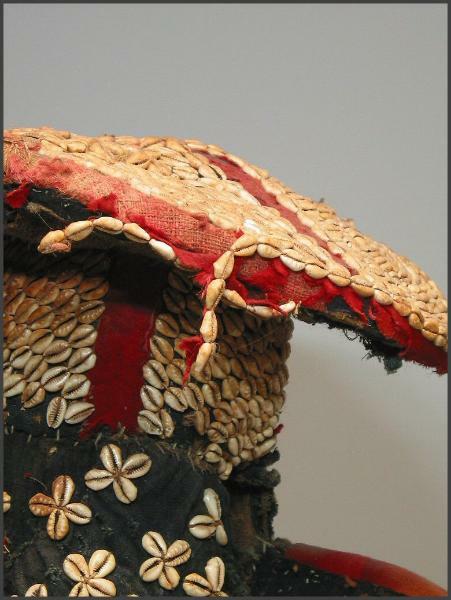 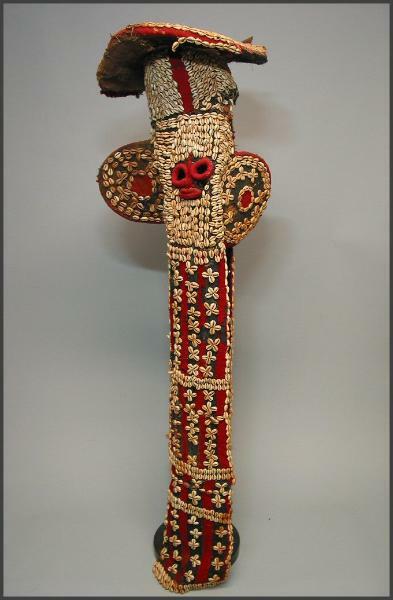 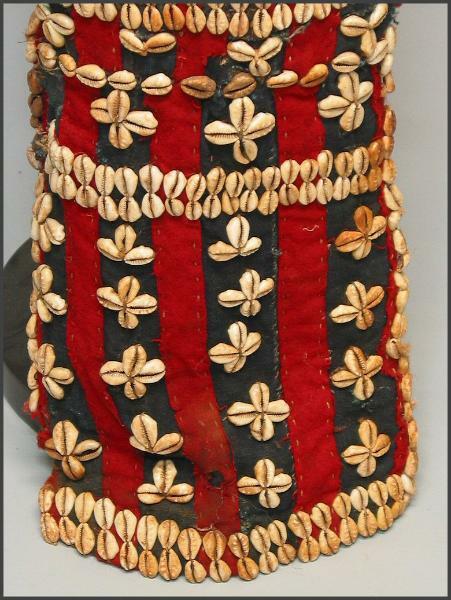 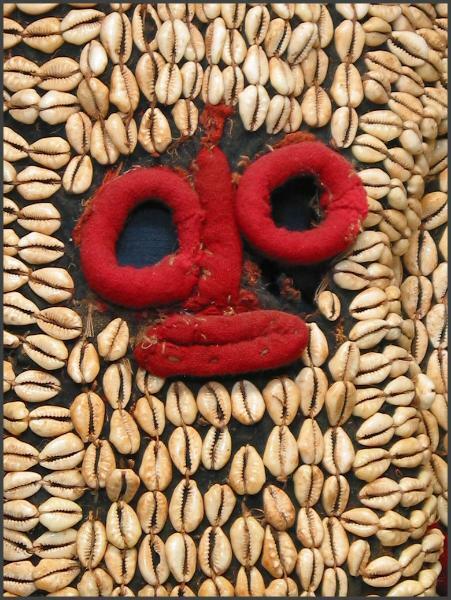 Bamileke cowrie shell elephant mask. An older piece in my opinion. Click on any picture to see larger version. 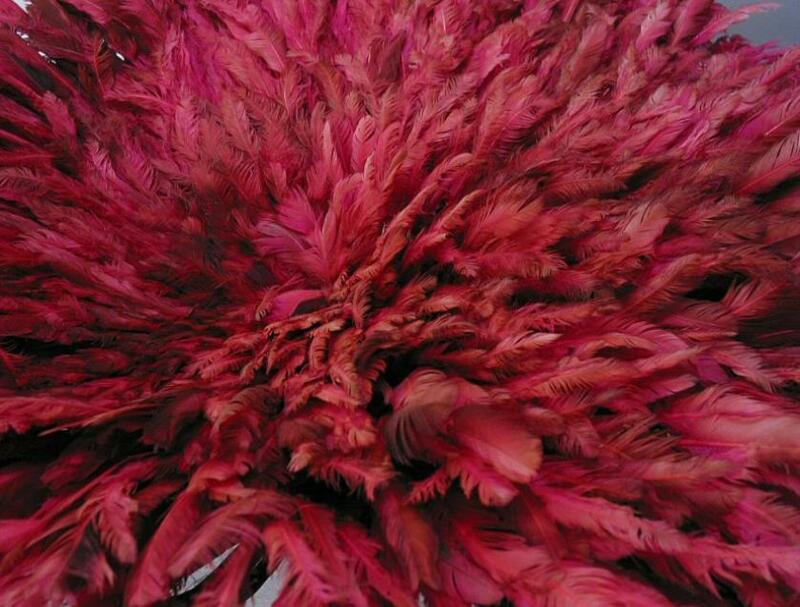 but the quality is much better and it's a big improvement. 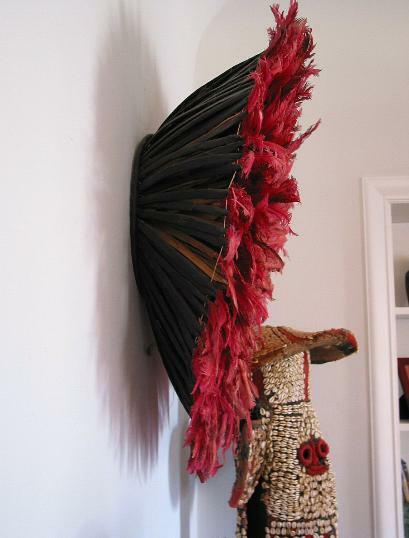 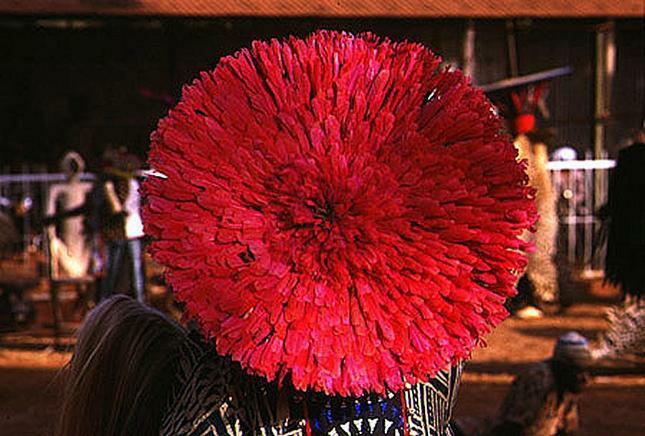 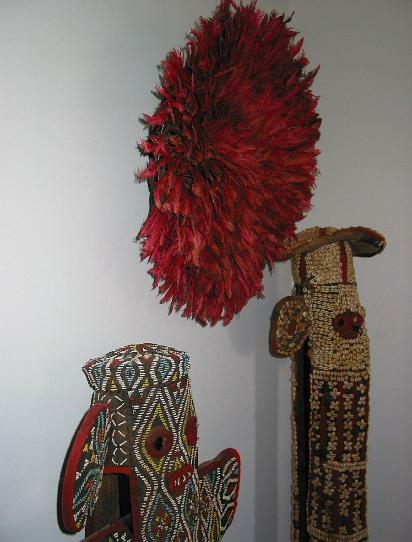 Red feather headdress- red/orange feather headdress which sits on the top of the embroidered fabric Cameroon elephant masks. to Kuba textiles). 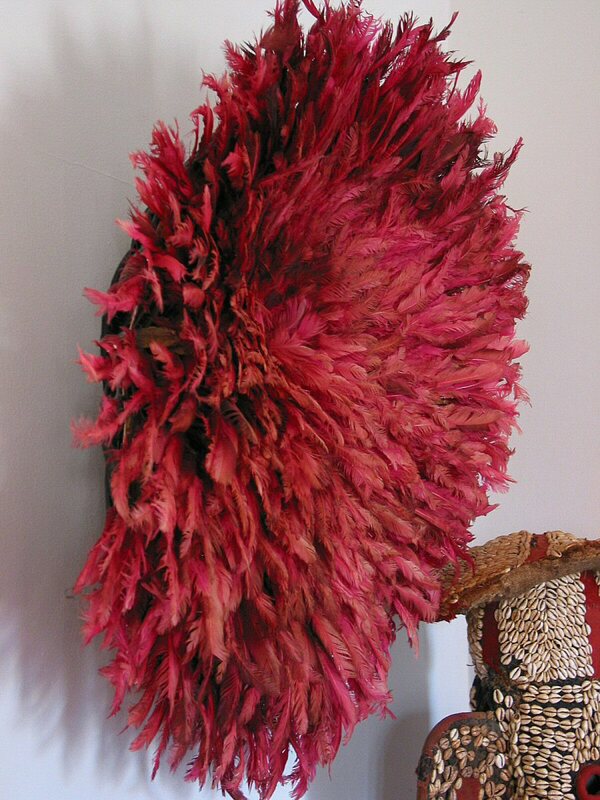 Size: 29 inches across x 9 inches high. 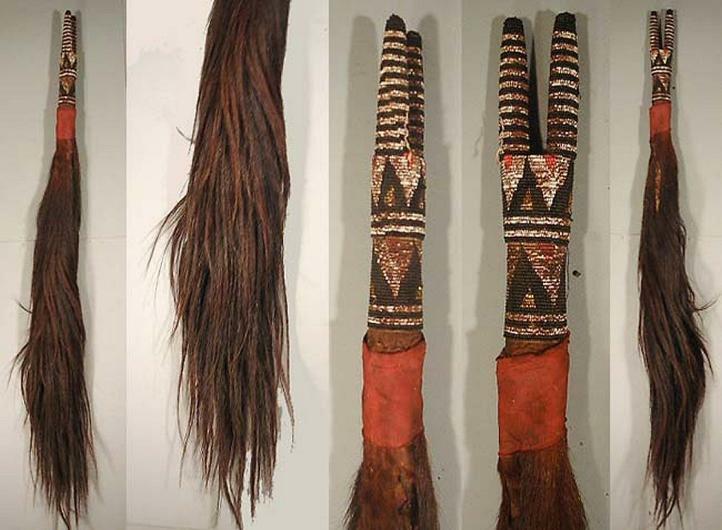 Beaded flywhisk with horse hair. These objects were used in conjunction with the elephant masks. 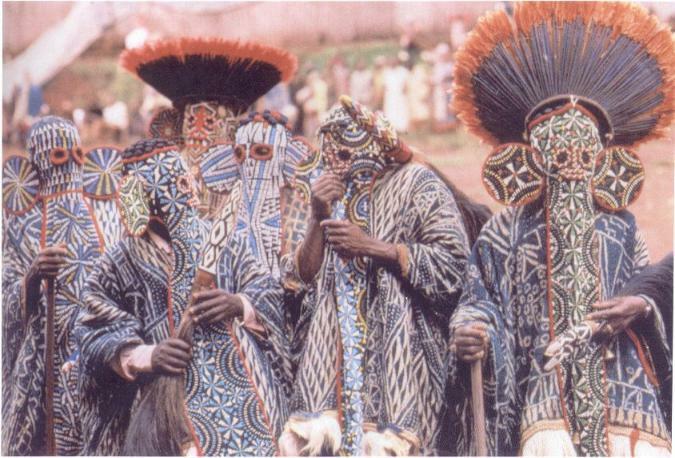 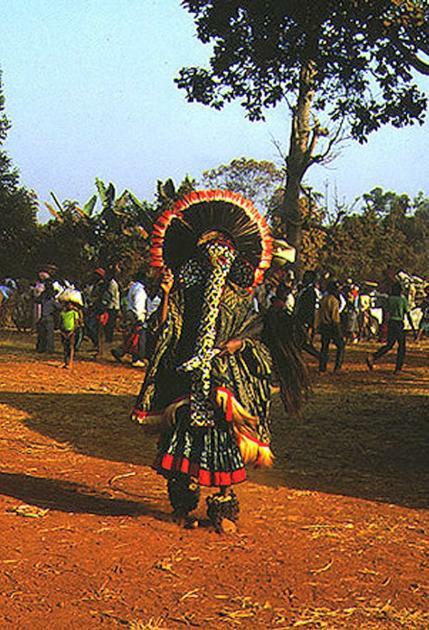 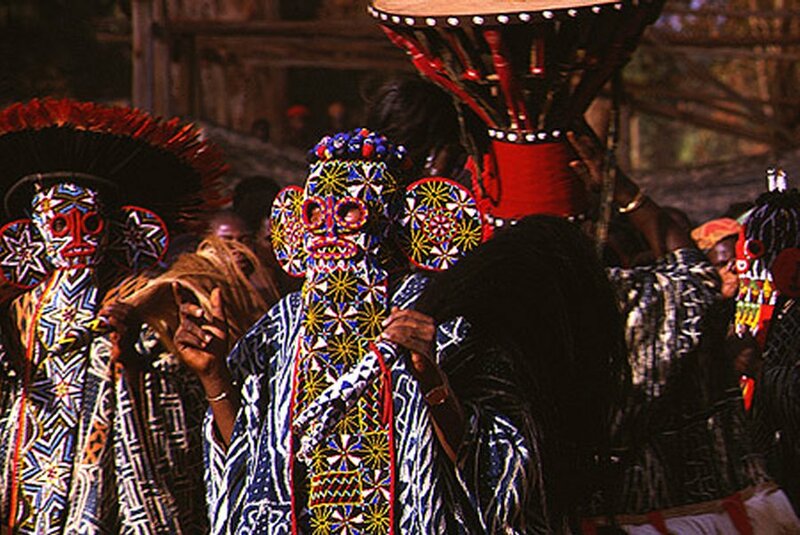 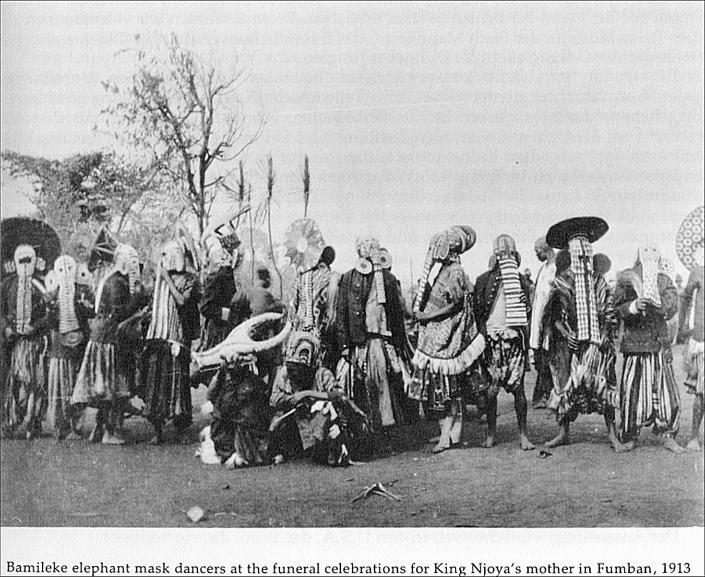 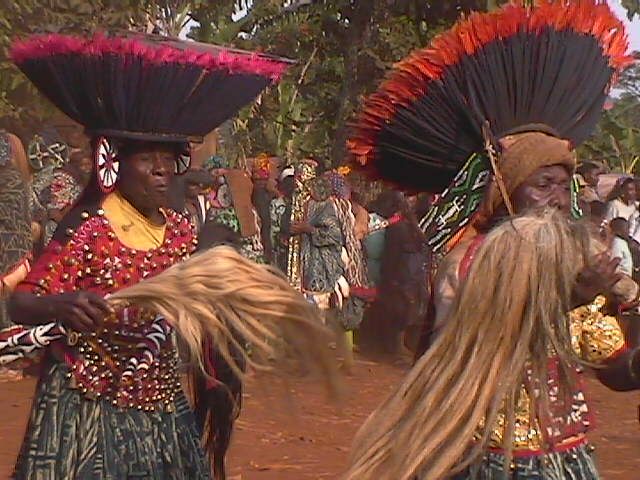 Cameroon elephant maskers in the Bamenda highlands (Nsaw group). prestige paraphernalia are used by the king to assert his power. 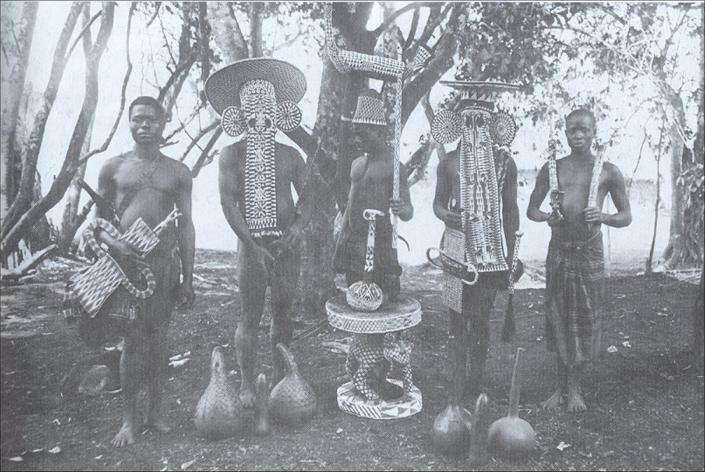 swords, commanders’ sticks, fans, dishware, horns, and terracotta bowls. 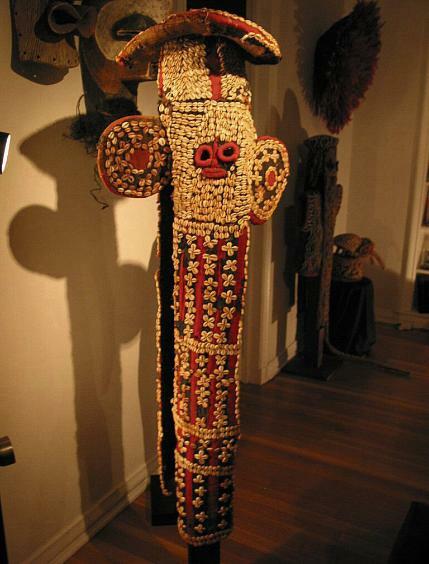 heavy nose featuring well-shaped nostrils.